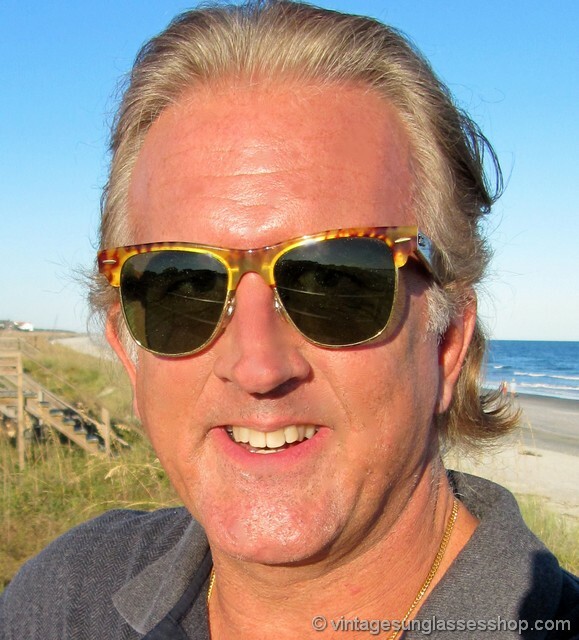 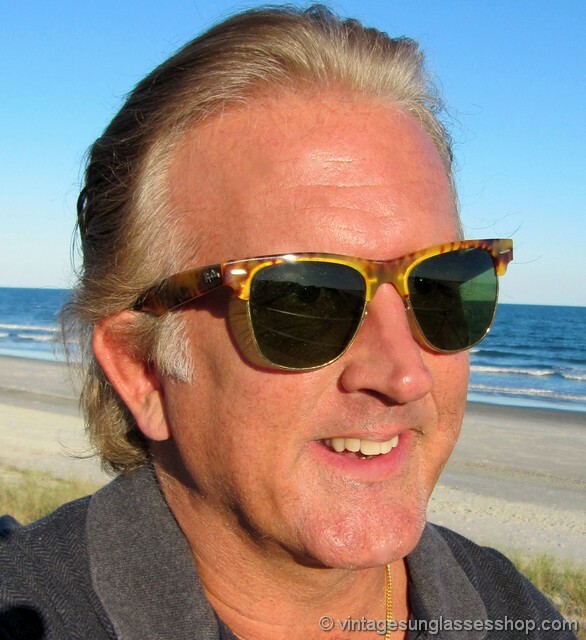 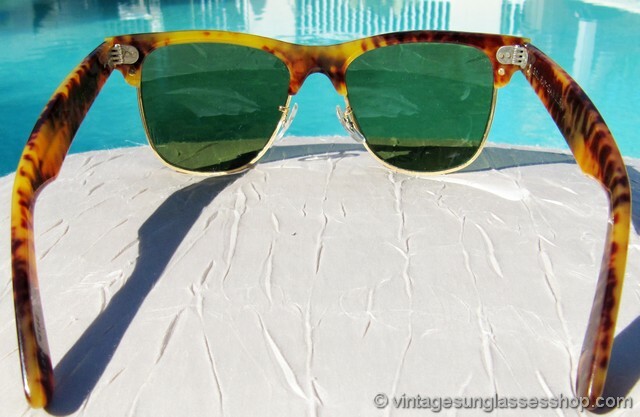 1 Vintage Ray-Ban W1274 Wayfarer Max sunglasses feature a yellow tortoise shell top accent with great translucence that forms a perfect complement for the Bausch & Lomb RB-3 lenses, one of the most distinctive colors and styles ever produced by Bausch & Lomb. 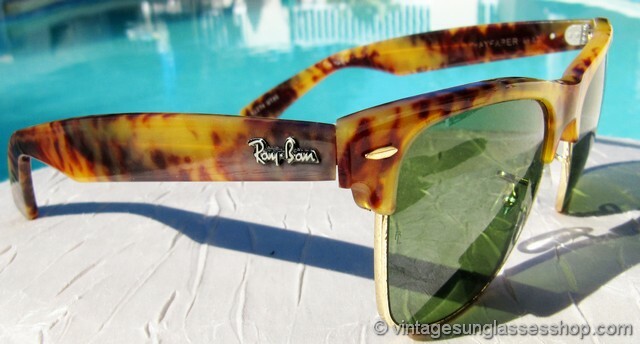 Ray-Ban Wayfarer Max sunglasses are an icon of modern sunglass design, a variation of equally iconic Wayfarers which added the gold plated lower front frame that's coupled with top accent colors and ear stems to give them a style all their own. 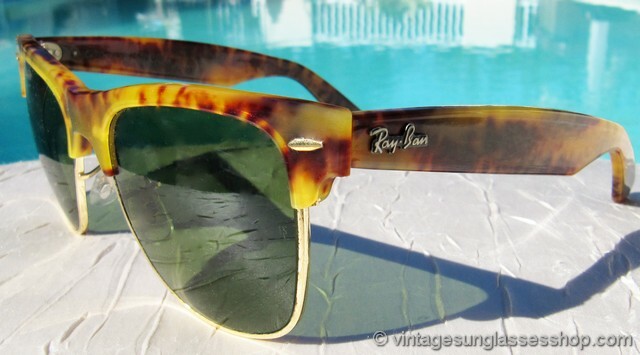 The unisex Ray-Ban W1274 Wayfarer Max frame measures approximately 5.5" temple to temple, and the B&L RB-3 mineral glass lenses measure approximately 2.0" x 1.75" at the widest points with both lenses laser etched BL near the hinges. 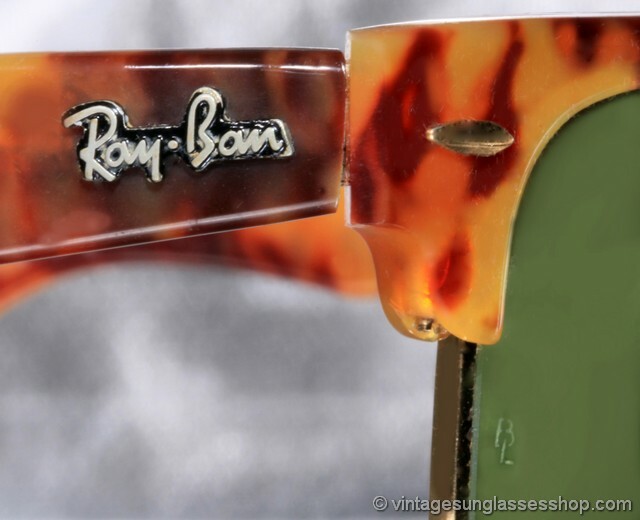 You'll find the Ray-Ban logo in italics in raised metal relief on the exterior of both ear stems, and the inside of one stem is marked B&L Ray-Ban USA while the other stem is marked Wayfarer Max. 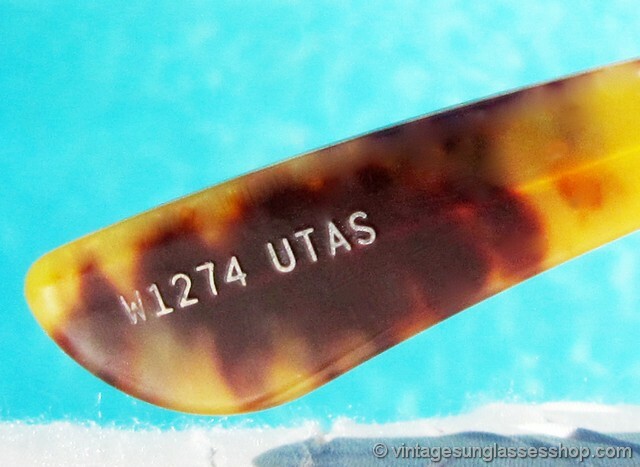 One ear pad is impressed W1274 UTAS, direct to you via a Dallas, Texas collection of fine vintage B&L Ray-Bans. 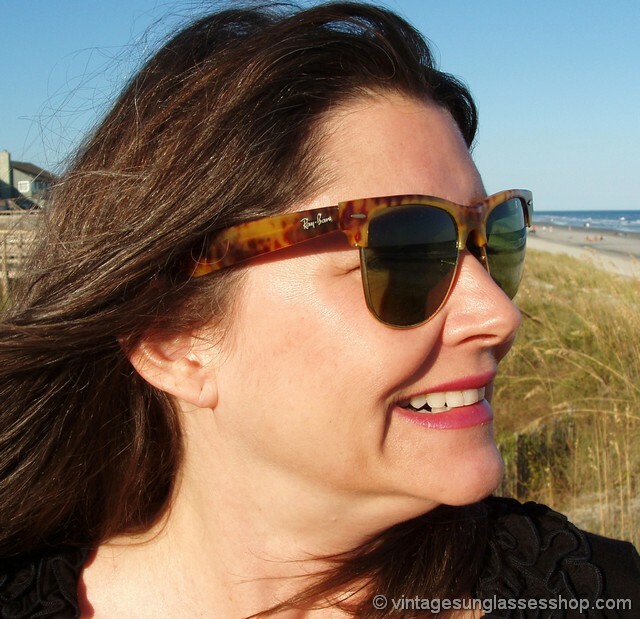 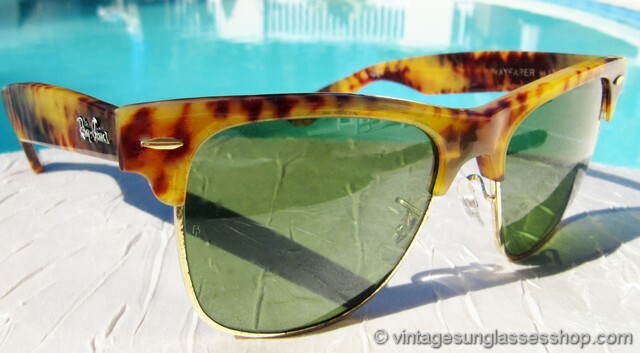 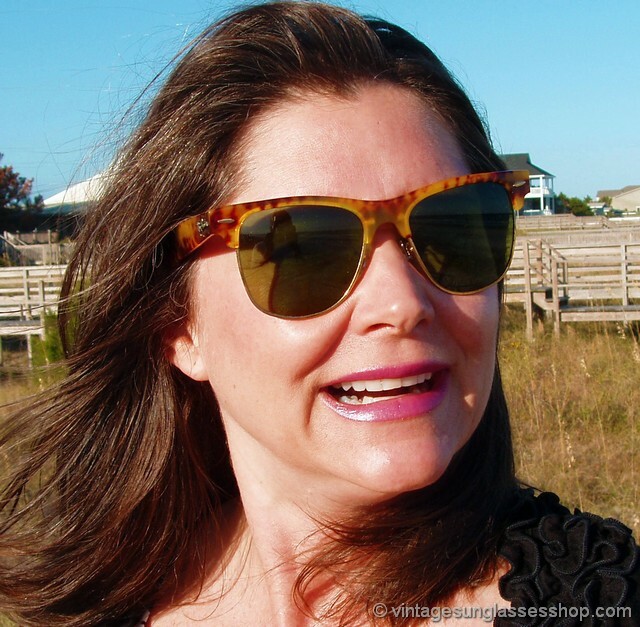 2 Step up another level beyond our already unequaled vintage condition standards with new old stock Ray-Ban W1274 Wayfarer Max yellow tortoise shell sunglasses in mint, unworn condition.